Hair is our most precious possession. If your hair stops growing, you won't have to worry about your hair. 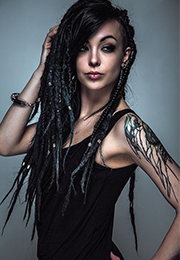 Hair extensions can help your hair to be more easier to handle and style. However, most women don't know which one to choose -- virgin or synthetic hair. The virgin hair, the human hair, is completely natural, without any chemicals. Therefore, virgin hair is your best choice. Many women often change their hair or color. Generally speaking, as long as you use natural hair, you can easily change it without damaging it. Synthetic hair can't withstand high temperatures. Therefore, you should not straighten or roll it up. Otherwise, it will melt. 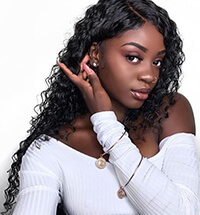 In the most fortunate circumstances, synthetic hair will lose its luster and eventually you will get something that looks less attractive or natural. 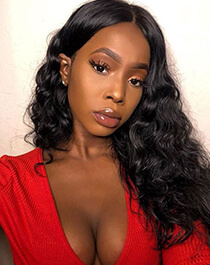 However, if you wear Brazilian hair or other similar, you don't have to worry that you can wear any hairstyle without any problems. Natural hair maintenance is very low. Synthetic hair is designed in advance because it is so fragile. And you'll always worry about keeping it looking good. Natural hair will have more choices. You can clean and dry natural hair without worsening or losing a beautiful shape. 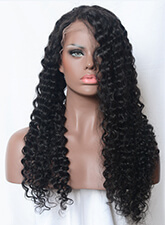 Natural virgin human hair acts naturally. When you walk, it has volume, natural movement, bounces. You always get the look you want. If you don't know which way to go, you should take everything into consideration. Natural hair is expensive, but you'll find that as long as you keep everything in balance, it's worth making an investment to get the perfect look. Natural hair can give you style. If you want to spend some time in your hair, or if you're interested in hair weaves, you can look perfect at any time of the day. The most admired nature originates from donors, they come from all over the world.